Setting financial goals…it is the first step to making your dreams come true. It is the fun part of financial planning. You can put down on paper exactly what you want out of life. The challenge may be planning how you are going to achieve these goals. A lot of what you really want out of life you are going to have to plan for. If you don’t, you will not have a clear path to the prize. The goal is the destination and the plan is the road map that will get you to this destination. Start thinking about what you really want. Maybe it is a house, or a new car. Do you have to pay for a college education? Maybe you want to be able to travel frequently and having a large house is not important to you. Give it some thought before you begin your goals list. Think about your core values. Is it your family, volunteering and helping others, being self-employed, retiring early? There are a million answers to this question and there are no right or wrong answers. Once you have thought about core values, you should have a clearer path to setting some financial goals. Working in five-year increments is a good start. It is never too soon to start thinking about a child’s college education. For me, my next big goal is to sell my house within the next year and be done working in the corporate environment in the next 3 years. Some suggest a master list of goals with terms that are short, medium and long. Write everything down, you can think of that you identify as a goal on a piece of paper…no organization necessary. For everything you have written down that you consider very important, put an A next to it. The next most important goals get a B and everything else gets a C next it. The things on your list denoted with an A should align with your core values. 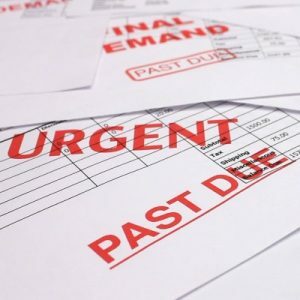 If there are items on the list that do not, you may want to consider making them a B or a C.
If financial security is at the top of your list and you have debt, debt repayment should also be at the top of your list. 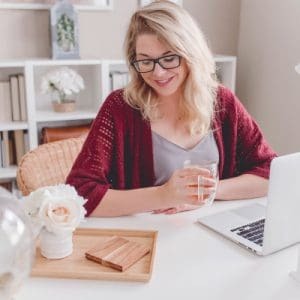 If you are in a relationship, this is where you need to discuss your goals with your partner to make sure that the goals are collaborative, and your partner is on board. This is the step where you must make a budget or lay out your plan for getting to your goals. If you are saving for a down payment for a home, decide when you want to have the complete down payment saved. It may seem like saving a lot of money is an insurmountable task. You may not meet your timeline exactly, but if you are farther next year at this time, you have made progress and you can adjust your timeline for the future. Creating a milestone allows you to take small steps that let you realize progress more quickly. The longer-term the goal has the more milestones it will need before completion. 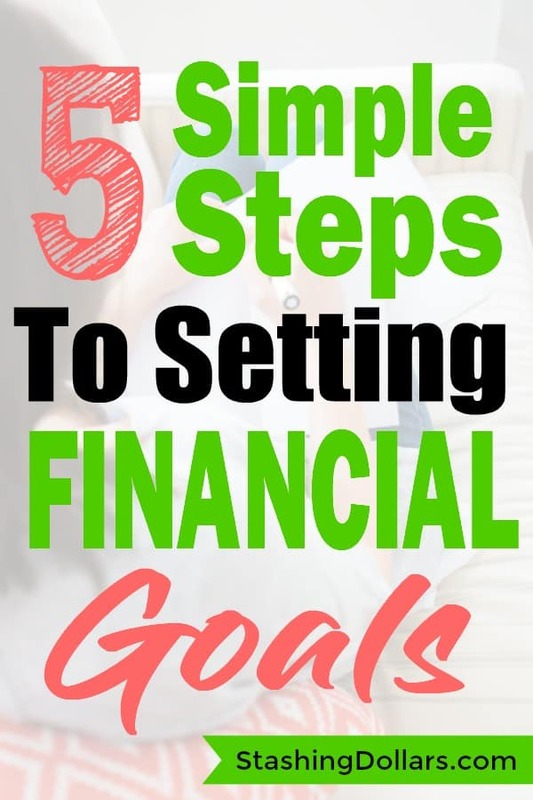 You can set up separate savings accounts for each goal you are working towards accomplishing and fund each account monthly to get you to the money necessary to achieve the goal. This part does not have to be perfect. Just get started and once you have some time under your belt you can adjust your goals as necessary. Stay focused on what you want. Living beyond your means and unnecessary spending with make the time for achieving your financial goal much longer. It could even put your goal out of reach. Ask yourself, if you could have what you wanted, and you only had six months to live, what would you do to reach your goal. One of the best ways to stay on track is to automate your savings. Have the money that is being save come directly out of your paycheck and into your goal savings account. If you don’t see the money, the chances of you missing it are slimmer. The chances of the money being spent on something else will also decrease. Storyboards are a great way to help you stay focused. You can use pinterest to make an online storyboard or you can cut pictures out of magazines and paste them on card stock or pin them to a bulletin board. Collect pictures of what your goal will look like after you achieve it. It might be a picture of a new car, a house you are going to buy and how you are going to decorate it or the dream vacation you are going to take. The visual of what you are saving for will keep you focused. This is the fun part…seeing your accomplishments. Planning is not a one-and-done solution. There can be many reasons that your plan might need adjusted as time goes on. Just because the plan is not going as scheduled does not mean you cannot achieve your goal. Your plan may need changed from a 12-month plan to a 15-month plan to complete. If you are lucky you could finish early. Life events are another reason your plan would need adjusted. Things such as a promotion or the birth of a child could cause a major shift in your life goals. At that point, you would reprioritize, add or eliminate as necessary and readjust the milestones. Nothing is set in stone and goal setting should be flexible. The best way to get what you want out of life is to create a plan to get it to your goals. It is never too late or too early to plan for your future. Yes…you will need a financial plan, but financial goal setting is also about realizing happiness. Whether your plan includes buying a home, retiring from your 9-5 or taking your children to Disney World, it is achievable if you just get started. The important thing about financial goals is to get them down on paper and start thinking about what you need to achieve your goals. Keep in mind that your financial goals will change periodical and your plan for executing them will do the same. Track and adjust as needed will keep you on the path to success.